I didn’t intend to write about our use of GW translation after one week. But a comment triggered something that is pertinent to all translation choices. 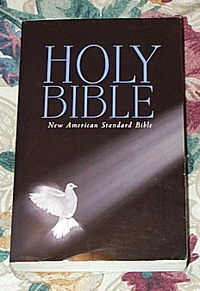 Someone commented that some people like to read along with the text in their own Bibles. In this case, the use of GW was jarring to that practice. The person admitted that GW is by far the best oral translation available. But when reading in her own Bible, it was distracting because the phrasing is so different (not wrong, just different). This got me to thinking about the different uses of Bibles in worship; there is nothing inherently wrong, but just a difference. Teaching Focus: In general Reformed/Protestant worship, the emphasis is on teaching, not on Bible readings. Sermons tend to be essentially a teaching ministry. Hence each person having a bible in worship is expected, preferably the same translation as the one. Preaching Focus: Generally in liturgical worship the emphasis is on Bible readings (usually Old Testament, Epistle, and Gospel, as well as a section of a Psalm). Usually Bibles are not used, but an insert with the day’s readings is given to each worshiper. Sermons focus on proclamation, not teaching. Interestingly, when we look at translations, there are two groups: 1) liturgical (Roman Catholic, Orthodox) producing translations such as NJB, NABRE, but also approving RSV, and NRSV for use, 2) less formally liturgical (Protestants), with extra church groups producing translations such as NAS, NKJV, NIV, HCSB, NLT. In the second group there is only limited contact with the church bodies, giving more attention to individual scholars. So where does that leave Lutherans? In this division, Lutherans definitely fall into the liturgical side, but the intrusion of Protestant emphases elsewhere into the church means that it occurs even in translation usage. Based on the comment from this one person (and many others who have said similar things over the years), and this dichotomy of the use of the Bible in worship, perhaps we need to consider two Bibles: one for worship and one for study, and then what to do with memory work. Obviously there are drawbacks to this. But it seems much more doable within a Lutheran context than in a Protestant one. Worship Bible: God’s Word (GW) would head this list because it is the best oral translation available. There are some issues that would have to be dealt with: will people accept “God’s approval” as the general translation of δικαιοσουνη rather than “righteousness”? How will long time church members handle the ttransition? 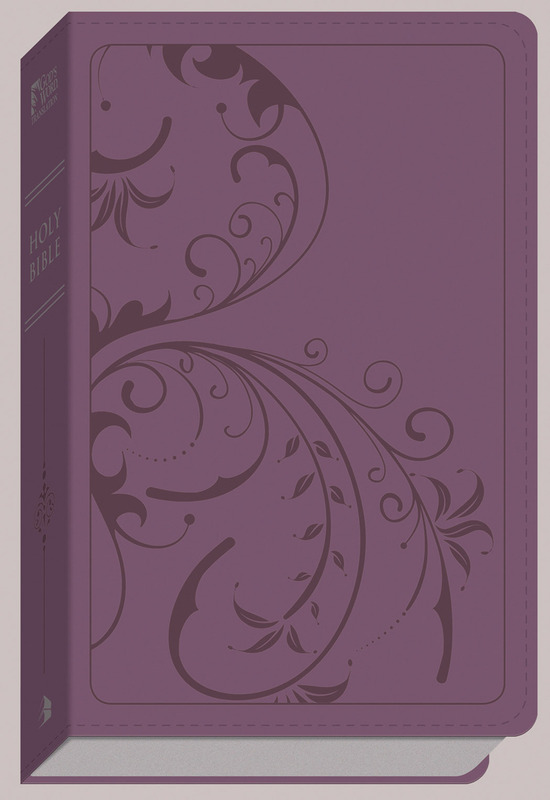 Study/Memory Bible: New American Standard (NAS95) make sense because of the memory work that would provide consistency with those who grew up with the KJV and RSV. Well, it probably wouldn’t ever work, but it does raise some interesting possibilities. Okay, back to sermon study and preparation for several Bible studies!! Thanks for responding, Richard. You are not the only one. If you have one translation, then use it. This series of posts isn’t to get everyone to try all the translations. Rather it is to see how each translation works in specific uses/circumstances. It would be ideal to have only one translation. But which one? That is the problem. Regardless, do not give up. Continue to read and study the Bible. I’ve been wrestling with this distinction between supposedly “reformed” emphasis on teaching in sermons vs. non-reformed (i.e., Lutheran) emphasis on “proclamation.” I am tempted to say it’s, in a sense, a false dichotomy, that Luther didn’t seem to have neatly applied any such distinction in the sermon, nor have any of the best preachers since. I wonder if the distinction made between Lutheran and Reformed on this point is not misdirected – that the difference in emphasis is that the reformed tend to emphasize the 3rd use of the Law, whereas Lutherans emphasize the Gospel (especially within the framework of the historic liturgy). My experience (admittedly not an objective measure of anything) is that when the preacher is under the impression one or the other is his emphasis, he tends to neglect the text at hand (i.e., the “teaching” preacher ends up embroiled in endless illustrations and extracting “principles”, while the “proclamation” pastor ends up reciting dogma rather than expositing the text.) Making this distinction too strongly, it seems to me, paints us squarely into Luther’s drunken peasant metaphor. In other words, with God’s Word, teaching and proclamation adhere to one another. I wonder if that adhesion is only really broken when we replace God’s Word with man’s word.